We had the pleasure of interviewing Gordon Orr about his views on the Belt and Road Initiative (BRI). Having set up McKinsey's Beijing office in the early 1990s and led their China practice for many years, Gordon has witnessed first hand the rise of Chinese companies both at home and abroad. In this interview, Gordon provides his take on the BRI, the digital silk road, as well as discussing the opportunities and challenges facing Chinese and foreign countries looking to tap into the BRI. Gordon Orr is a Senior Advisor to McKinsey and a Board Member of Lenovo and Swire Pacific. In addition, he is an advisor to Oxford University and Harvard Business School in Asia and is a Board Member of the China Britain Business Council. 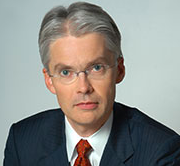 Gordon opened McKinsey’s office in Beijing in the early 1990s and led McKinsey’s Greater China practice for many years. He led McKinsey Asia from 2009 until 2014 and was on McKinsey’s global board of directors 2003-15 with responsibilities for Asia, Governance and Risk. Gordon has been based in China since 1993 and has worked with McKinsey since 1986. He retired from McKinsey in 2015. Gordon publishes regularly on LinkedIn. How would you describe the Belt and Road Initiative (BRI)? Gordon Orr: The BRI is the scale development of infrastructure across the world. It intends to bring down the cost of delivering energy, digital connectivity and traded goods, fostering enhanced globalization. The BRI has been conceived, financed and largely built by China. The main geographic emphasis is on less developed countries, and it is these countries that should see the largest economic impact of BRI infrastructure. At the margin, the BRI will help China to export its infrastructure capabilities and excess capacity through increasing trade opportunities. In doing so, it temporarily secures jobs for Chinese workers in heavy industry sectors. The BRI also provides investment opportunities for Chinese banks willing to finance overseas projects undertaken by Chinese contractors. There is a clear economic rationale behind BRI. At the same time, the BRI is a fundamentally a geopolitical program. When companies of one country invest so heavily in the infrastructure of others, the reality is that these projects become branded as ‘by and for China’. Critics accuse the BRI of trapping countries in debt. What are your thoughts on that? Gordon Orr: Even a country that has as much capital as China cannot fund unlimited losses on building infrastructure. China wants an economic return on these projects. While some projects will invariably fail, there is an expectation that the average project will yield a return capable of paying off the debt incurred. One challenge is that receiving governments and commentators seem to expect close to instant returns on BRI investments; but infrastructure projects, even the most successful ones, take a long time to yield results. But the debt risks associated with the BRI should not be understated. In particular, there is a failure to anticipate how much effort is required to incentivize businesses to change their existing supply chains as a result of BRI. BRI can bring a new airport to a city but the city will need to incentivize businesses to use the airport by for example, encouraging a company like DHL to establish a logistics hub there. Unless infrastructure build up is coupled with industry development of this sort, new infrastructure will be underutilized and debt risks will grow. Projects can also run into debt issues if they are not developed well at the design stage. BRI countries wanting to build up their infrastructure are often inexperienced in project design. This results in a lack of bankable projects. But unattractive projects have still obtained Chinese financing if both the recipient country and the Chinese financier are in a rush to sign the deal in time for a crucial leaders’ summit. The project lacks substance from the outset and then poses operational and financial risks down the line. What’s more, just because infrastructure-heavy development worked in China, does not necessarily mean it will be repeatable in other countries. Many BRI countries have high political volatility where the rules governing foreign infrastructure projects can change quickly. There is more talk these days about the Digital Silk Road and its role in the BRI. How important is that? Gordon Orr: The digital silk road is a highly interesting part of the BRI. The Chinese government views digital infrastructure as of critical importance to enabling business and opening markets. There is a parallel opportunity to building digital infrastructure along with physical infrastructure in developing markets; and by doing so facilitating more efficient transactions and improved entrepreneurship. The Chinese side won’t focus on the ownership structure of digital infrastructure in the countries they work with – whether it is public or private – but they do care that such infrastructure exists and that Chinese companies are involved with its construction. Huawei is a key beneficiary – it already has global sales and R&D facilities – and continues to expand aggressively into BRI countries. The digital silk road is new only in name. Chinese hardware giants have been succeeding abroad for some time. What remains to be seen is whether Chinese internet companies will follow suit. As part of BRI, more and more Chinese companies are being encouraged to internationalise. What are the key challenges facing them when they embark on such expansion? Gordon Orr: There are three primary challenges Chinese companies face when expanding abroad. The first is the extent that products need to be tailored to the local market. Clearly, given the disparate nature of countries in the BRI, there exist differences in consumer preferences. Not adequately understanding these preferences will result in poor sales on the ground. The second is cultural agility, Chinese firms need to ensure that they build bridges with local markets. They need to ensure that they empower local people; a failure to do this risks resulting in resentment towards Chinese firms. The third is managing government relations abroad. I sometimes find it surprising that Chinese firms spend so much time at home managing governmental relations, but then pay insufficient attention to it abroad. Can foreign companies engage with the BRI? If so, how? Gordon Orr: There are opportunities for foreign firms. Already some of the world’s best known legal, insurance, engineering and consulting firms have a long pipeline of BRI related projects. Chinese firms and banks are still in the early stages of their internationalization and lack knowledge in a number of areas. If foreign firms have expertise in specific BRI markets, then there will opportunities to work with Chinese firms there. However, it can seem a daunting task to access these opportunities. Many BRI projects lack transparency and there isn’t a way to gain a holistic picture of all BRI projects going on at one point in time. A number of governments and business chambers are collating this data. Get in touch with them and get them to connect you to the right Chinese partners. Collaborating with Chinese partners is one way to benefit from the BRI, but the reality is that in many cases it will be more a story of competition than collaboration. Chinese firms expanding outwards will present a growing competitive threat to those foreign firms already operating abroad. Chinese firms can deliver at speed and at low cost. If foreign firms focus on cultivating local capabilities, at the same time stress that they would strictly abide by internationally recognized standards, then they too can gain a meaningful share of the growing appetite for infrastructure globally. One final question. Where do you think the BRI will be in 2050? Gordon Orr: Hopefully the BRI will be complete by then! A necessary implication of the BRI’s success is its own fading out over time. The BRI seeks not to meet all of the developing world’s infrastructure demands, but instead seeks to build ‘catalytic infrastructure’. By proving that it is possible to successfully invest in high risk developing countries, the BRI will hopefully incentivize other investors from around the world to come onboard and provide their share of the infrastructure financing required to catalyze economic growth. By 2050, developing countries will hopefully be using that infrastructure to its full economic potential, and have reached or neared middle income status. When these things happen, the BRI as a concept fades out as it will have achieved its goals of fostering improved trade, connectivity and globalization.